Comfort Blinds Real Wood blinds are fashionable and functional. They are made from 100% kiln dried Basswood, which is lightweight, resists warping and is easy to clean. 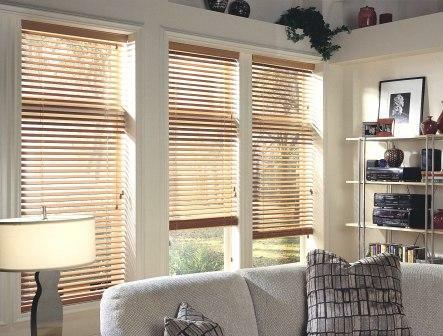 Cordless lift, multiple blinds on one headrail, cloth tapes and routless slats are options available with our Real Wood blinds.